19-09-2018 Hidden Dimensions out now! Participation in above mentioned event will be possible thanks to the Adam Mickiewicz Institute financial support from “Polish Culture Around the World” program. Hidden Dimensions was performed at the SOLARIS National Synchrotron Radiation Centre in Krakow during Action Rotation! event, organized in cooperation with Academy of Fine Arts (Intermedia Faculty) in May 12, 2018. Brand new piece for string orchestra and tape, VIVA L’Autunno, was commissioned by the Screen & Sound Festival 2018. Instrumental part was recorded at the Radio Krakow on Thursday, March 15, with the orchestra conducted by Maciej Koczur (and engineered by Aleksander Wilk). Tape was recorded at the De eM Studio between December 2017 and February 2018, then mixed with instruments by the composer. Participation in above mentioned events will be possible thanks to the Cultural Grant of the City of Gdansk. 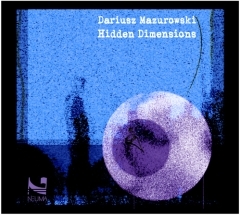 Dariusz Mazurowski’s lecture “Theoretical and practical aspects and role of space in electroacoustic music. Creation of an acoustic context in electroacoustic multichannel compositions” will take place at EESEM Studio, LNMA n.a. Mykola Lysenko (Nyzhankivskoho str. 5). Monday, April 16, 12 am.